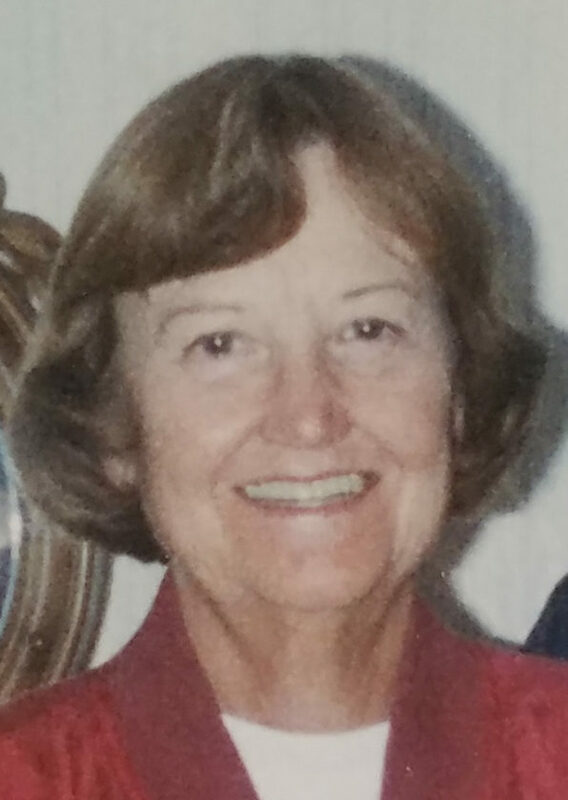 LEESBURG, Fla. — Patricia Lou Hyska entered and left the world as we all hope to do, surrounded by the love of friends and family. Born on March 1, 1929, she passed away peacefully at the age of 88 on April 10, 2017. A true 88-years-young, she played weekly bridge with the girls (the ladies bridge group at her 55+ community in Florida), just a week before she lost her strength and was called home to heaven. The daughter of Bettie and Stanley Seaverns, Pat grew up in Michigan City, Ind., with five brothers and sisters: Charlotte (Mikey) Lundquist, Barbara (Midge) Glossinger, Harriet Seaverns, Charles (Chuck) Seaverns, and Fred Seaverns. Frank Hyska was the love of Pat’s life, and they enjoyed a marriage and partnership that was never to be matched again in her lifetime. Married on Dec. 2, 1950, the pair had two children together, Kathi and Blaine. Kathi was born in July 1951, and her little brother followed in June of 1952. The happiest years of Pat’s life were spent at their farm in Three Oaks, raising Kathi and Blaine alongside her husband. Pat’s sisters Midge and Mikey also had houses in Three Oaks. They raised horses and enjoyed attending the races, even seeing the infamous Secretariat in the 70s. Pat was given a ring for their 10th anniversary with the inscription of my wonderful one. It describes her perfectly. Frank died suddenly in February 1987, and Pat’s mother-in-law stayed with her a while to help with the farm. She gave her the advice to wait a year before making any big decisions, and exactly a year later Pat put their farm up for sale. She just couldn’t stand to be there without his help and companionship. A true pioneer, Pat rose through Horizon Bank and was a vice president when female executives were scarce. Her daughter, Kathi, followed in her footsteps, as she was a very successful banking executive as well. Pat was very proud, and saved clippings from the paper announcing Kathi’s promotions. After losing Kathi to cancer, Pat moved to Iron Mountain to be closer to her son Blaine, and they enjoyed daily lunch visits. She was incredibly proud of her son, who was not only there to help her — or anyone in need — but did it while running the Iron Mountain Daily News as its Editor-in-Chief. As she grew older, Pat also grew tired of the harsh Michigan winters and became a snowbird. In addition to traveling the world to places like England and Hong Kong, she loved to travel between her homes in Michigan and Florida. She was a member of Pine Grove Country Club in Iron Mountain, enjoying golf and bridge with her friends. She took up the same hobbies in Florida and loved to host her family, too. Pat was baptized at age 69 and became a member of St. John United Church of Christ in New Buffalo. Pat is survived by her sister-in-law, Arlene Buckley; daughter-in-law, Carrie Hyska; grandson, Kyle (Megan) Hyska; a granddaughter and great-grandson; nieces and nephews that love her dearly; her two children, Kathi and Blaine, as well as her beloved husband Frank, preceded her in death. Pat will be laid to rest privately and a social gathering will be held to celebrate her life on her next birthday. If you have stories and memories you would like to share with her family, you can email her grandson and granddaughter at hyskatelli@gmail.com.